Learning Lessons: Invite inidividuals to take a learning lesson. 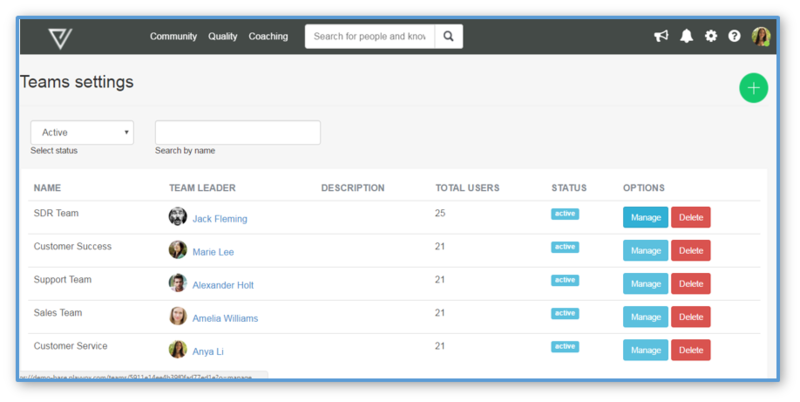 Scrolling down the page, you will see a list of agent names in the left column that includes the total active users available to assign to teams. Select All or Select specific agents by checking the boxes to the left of the names. Use the left and right arrows to add names to the new team or remove names. Creating Scorecards: How to design and build Quality Scorecards.